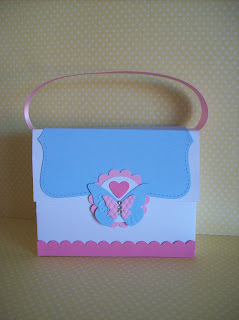 Here is the handbag the kids are going to make for their mums. I designed this bag to fit onto a 12" x 12" sheet of card stock. The bag does not need any tape to hold it together, just double sided velcro button for the flap. It can easily fit gift cards and chocolates inside. 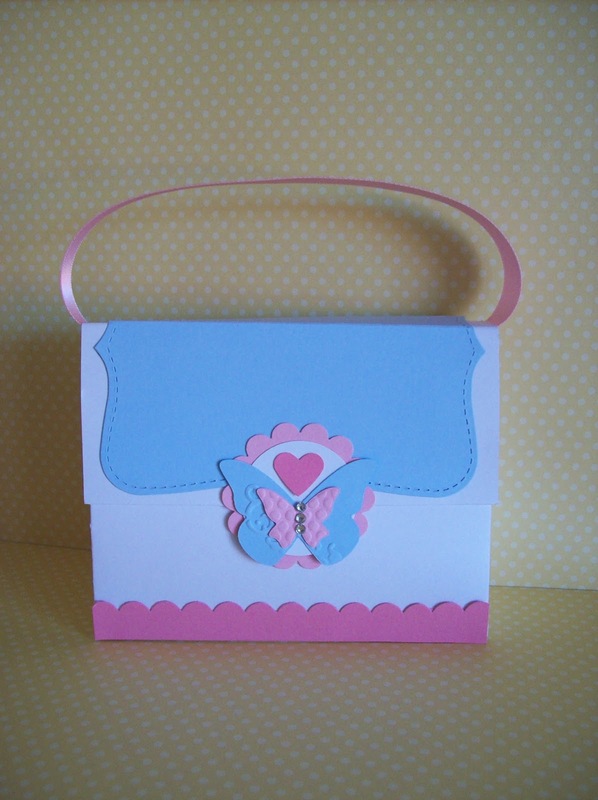 Card stock: Whisper White, Pretty in Pink, Bashful Blue & Regal Rose. Accessories: Big Shot, Beautiful Wings Embosslit Die, Top Note Bigz Die, Scallop Circle Punch, Circle Punch, Small Heart Punch, Scallop Boarder Punch, Pretty in Pink Satin Ribbon, Basic Rhinestones and Adhesives.